This book, “Fixing This Broken Thing…The American Criminal Justice System,” is based upon the author James Bolen’s career as a Chicago Police Officer. 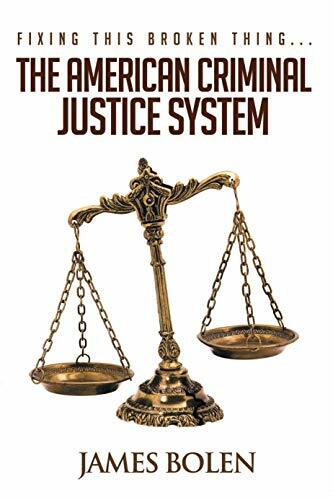 The book examines various difficulties in the Criminal Justice System and offers solutions for such to improve our judicial process. “Fixing This Broken Thing…” by James Bolen will be free and available for download on Amazon for 1 more day (04/12/2019) at: https://www.amazon.com/dp/B07PGX4KZQ. “The American justice system is fascinating to the world. The ongoing global success of books, movies and TV series dedicated to it is a clear indicator that this is true. Some, like “Law & Order” presents the system at it’s best. Other show it’s failures. This book is about the later, but it is not a fiction story for entertainment purposes. It is a troubling testimonial from someone who knows the system in and out, and is not looking to condemn, but to repair. “I thoroughly enjoyed Mr. Bolen’s views, facts, and references cited in the book. It took me back to time and place of much more honesty and less sugar coating. This book really gave me a societal perspective on what is going on in our broken system today which I can truly respect and appreciate. We have TV Shows only portraying some of the injustice. This book takes a much deeper look into the entire system. Thank you, Mr. Bolen, for having the courage to speak about what’s really going on!” – Sandra P.